Hose length:15m.Tube diameter: 4mm. 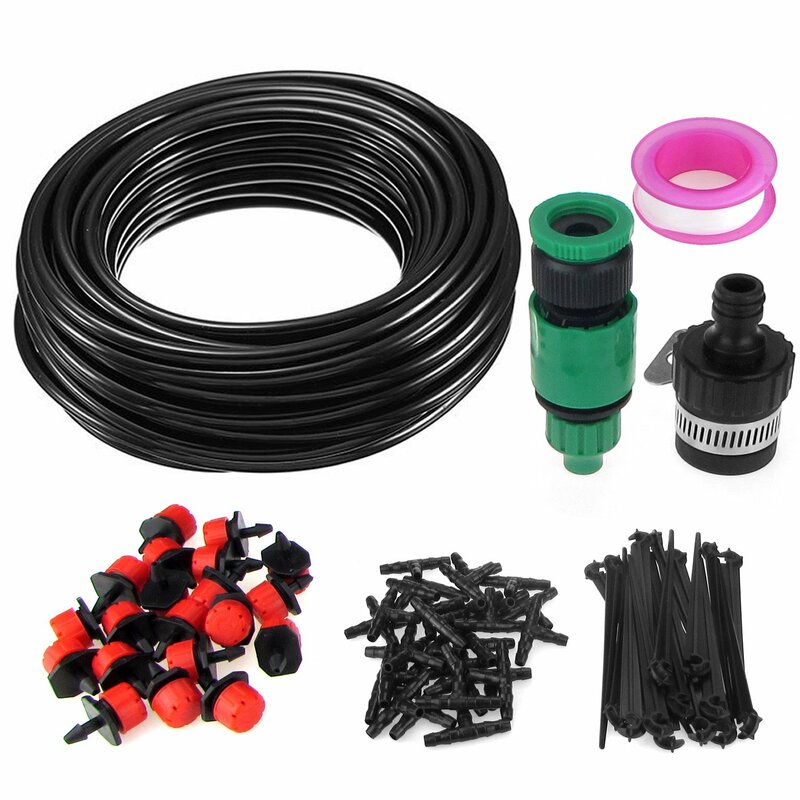 2pcs Faucet Connector Accessories 18pcs Tee Joint 18pcs Adjustable Dripper 18pcs Fixed Stem 1pcs Teflon Tape. Cut The Hose Yourself , Suit Measures To Local Conditions With Fixed Stem, More Applicable. 2:Please put the connected part of the hose into the hot water for 10 seconds before assembling. 3: Provide adequate hose and other accessories ,so if there is any abrasion or damage during installation or using ,you can replace it at any time. 4:Provide 15m 4mm hose,so you can intercept suitable hose based on your requirement and your water pressure. Twist The Adjustable Dripper’s Red Cap Into A Sprinkler, Drip-like, Closed Shape. Meet Your Needs. Individual Emitter Is Temporarily Shut Off When You Could Simply.It Can Automatic Irrigation When Your Tap Tight Thread Adapter And Open Water.